BlackBird's new denim silk collection is perfect for the hip and young man seeking a very usual accessory. What astonishes us the most is that designer BlackBird managed to relocate the washed denim look using pure silk. 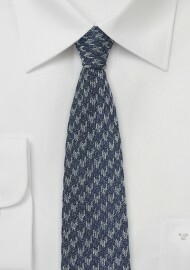 The textured houndstooth design further adds to the contemporary look of this one-of-the-kind skinny tie. 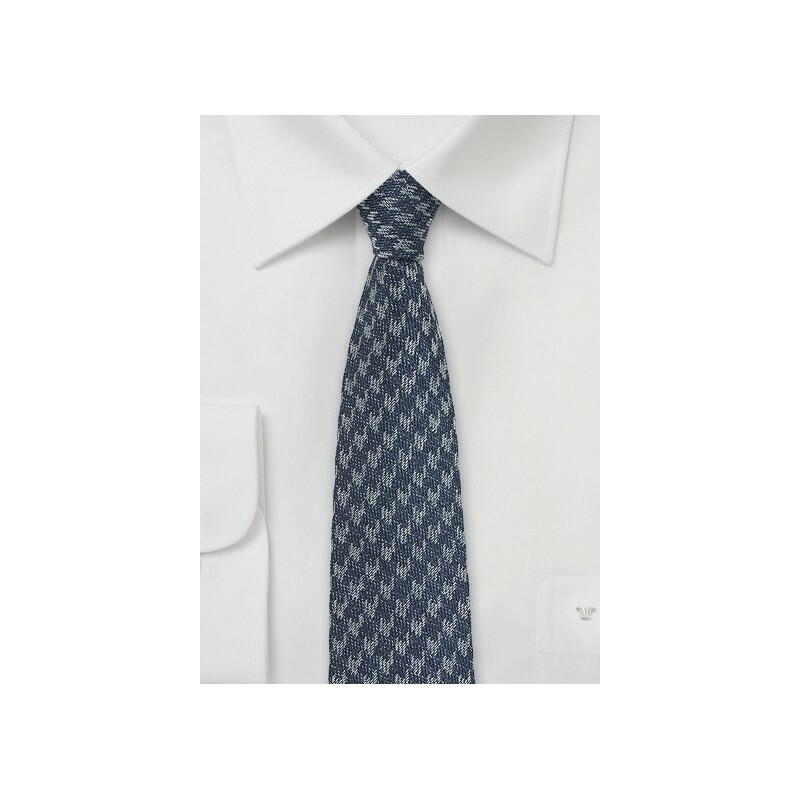 This collection also comes in window-pane check, stripes, and dot design. Made by hand from woven silk. 100% Silk | Length: 58", Skinny Width: 2.75"